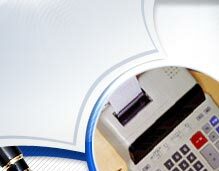 Dale has been preparing income tax returns for more than 28 years and established the firm in 1988. He specializes in preparing personal and small business returns and leverages tax planning strategies to minimize the amount of taxes owed to help clients achieve their financial goals. Dale graduated from the University of Maryland, College Park, in 1982 with a B.A. degree in Law Enforcement. He currently holds a M.S. degree in Safety Engineering and is an IRS registered Electronic Return Originator (ERO) and Enrolled Agent. Kimberly has been been preparing tax returns since 1995, after graduating from Towson University with a B.S. degree in Mathematics. Kim’s specialty is her organizational skills. She keeps Dale in line and provides a wide range of services, including local tax returns and tax planning.